My experience at a recent event motivated me to compile a listing of international Dancehall chart and crossover hits that showcase the very highest standards of the genre, and that is good for playing for general audiences. Through my creative outlet, YA Readers Hangout, I have put together the Fresh Air Party Playlist that is created for use in a general public setting. 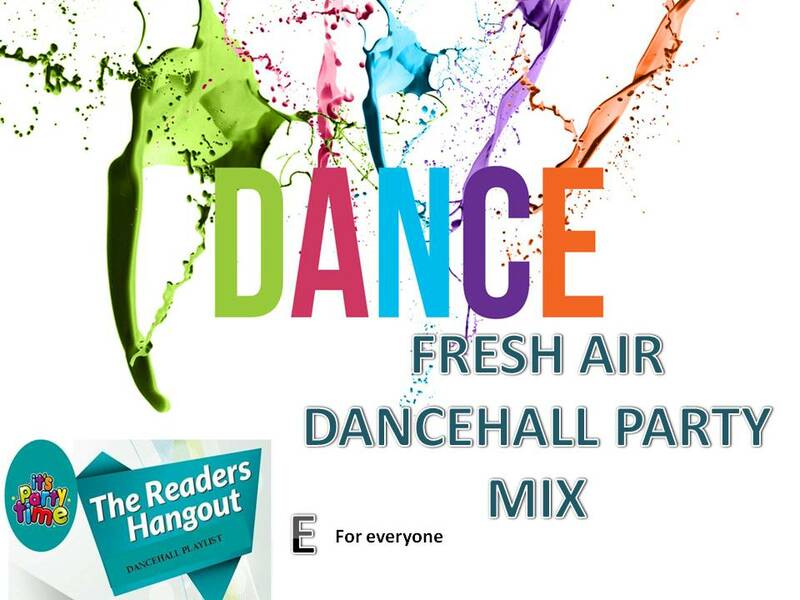 It has a total of 27 international Jamaican Dancehall artistes on a track list of 35 songs across 23 original riddims and international collaborations covering more than two hours of high energy music that keeps the atmosphere lively and the dance floor moving. The lyrics on the tracks mostly cover the theme of optimism and enjoyment of life with friends, with self-respect and romance as broader issues. They do not brood on violence or thoughts of self harm or intense heartache or otherwise linger on adult themes such as those that happen within intimate relationships. It is my desire that disc jockeys display their passion for the music by also playing with a sense of occasion. The joyful list is set out below and is a playlist on Youtube.